Celebrate el día de los muertos with this staged adaptation of Yuyi Morales’s fantastical award-winning books Just a Minute and Just in Case . 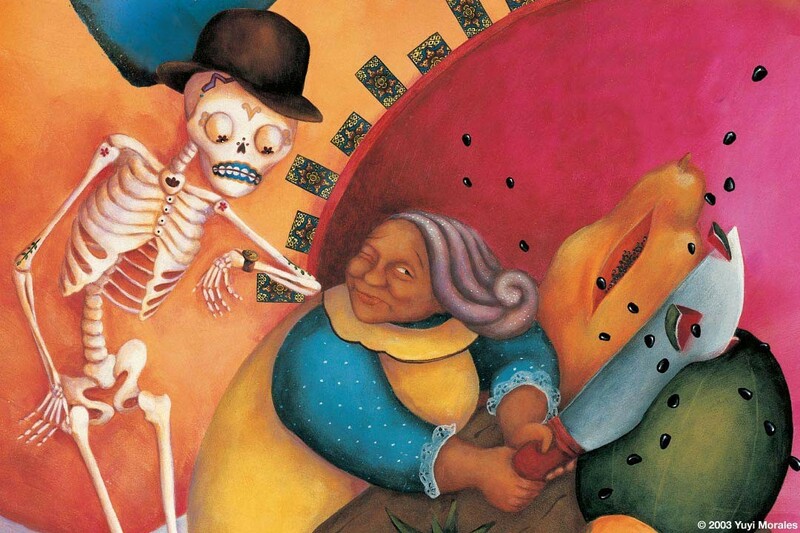 Señor Calavera wants Grandma Beetle to leave with him right away, but she still has one house to sweep, two pots of tea to boil, three pounds of corn to make into tortillas – and that’s just the start! Kids of all ages will love these bilingual counting and alphabet tales.